Welcome to Glamdeva, a revolutionary marketplace for beauty services. We wanted to simultaneously help beauty professionals and those short of time find a combined solution to beauty treatments. Often we struggle to find the time in our lives to take half a day to travel into our town or city centre for an appointment, however, we offer the opportunity to get beauty treatments to your door. Glamdeva is two-sided, for customers it allows the search and booking of beauty professionals in many fields, such as MUA's (Makeup Artists), hair styling, manicures, pedicures, bridal & wedding makeup, body treatments, and spa therapies. We offer our customers an on-demand booking service, allowing you to book a beauty professional for any time of the day, providing they are available to book. Regular scheduled beauty appointments are also available. 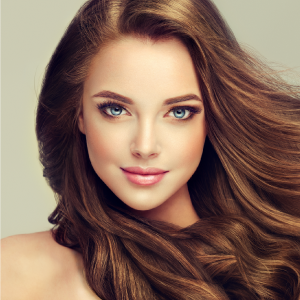 You will find a professional for almost any beauty treatment you can think of, so there really is something for everyone. Glamdeva Pro allows professional freelance stylists and Salons to fill in the gaps in their work schedules, with customer appointments, thus improving their weekly income and overall rating in their relevant field. Find a local hair stylist for your next event. Connect with local prom hair & makeup professionals and book online. Look your best, feel confident‎ with Glamdeva personal stylist services. If you're a mobile beauty professional then join the Glamdeva network and grow your brand. We even give you a free online booking system!